Poisoning in dogs are the scariest words that any owner will ever hear, especially if it is from your vet. If it comes from them, in most all cases it is either very serious or in the worst case scenario, a life and death situation your dog is now facing. The world that your dog lives in is very much different there ours. 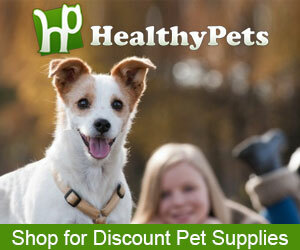 It is lived at ground level which makes it very exciting, adventurous, and fun for your dog. Through their senses of sight, smell, and hearing they live life in an entirely different way then we do. Because of this, there are literally hundreds of dangers that set and wait for them around almost every corner. Some of them can make them sick and there are others that can very quickly take their lives. However, as an owner, you can protect them if you know what these dangers are and help to avoid them, but the key is the knowledge of what to look for. While this list is certainly not all inclusive, it covers most of the major threats. Poisoning in dogs should always start with the environment that they live in, and in most cases that will be your yard, ranch or farm, as well as metropolitan areas like New York City. The common belief among owners is that the real danger of poisoning in dogs starts with the yard or the surrounding areas and will involve pesticides and fertilizers. While this does present some danger, it is by far and away not the most deadly. Leading that list is antifreeze that you use for your car. If you are working on your car or recently had it serviced, be very careful of even the smallest amount of leakage. There is a chemical in antifreeze called ethylene glycol that is extremely dangerous for two reasons; dogs love the smell of it and it is deadly. 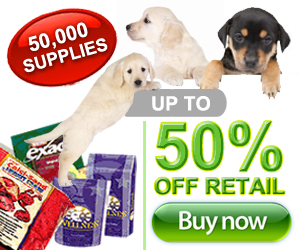 Of all the chemicals that can threaten your dog, this is one of the most common killers. In fact, it not only smells very good to your dog they also love the taste of it and even a few drops can kill them within minutes. Next on this list of real dangers are drain cleaners, glue, bleach, and battery acid. Drain cleaners are dangerous in a much different way than antifreeze, as it is the fumes that can threaten your dog. By simply inhaling these fumes your dogs mucous membranes as well as their gastrointestinal tract can be damaged very quickly. Common bleach as well as battery acid is identical as the fumes are the dangers and they have the same affects. However, this list is not complete as nail polish, nail polish remover, as well as paint and paint thinners fumes have the exact same affect on your dog. Next on the list is fertilizer, but it is not considered to be toxic. Instead, it can be extremely irritating to their skin as will rock salt if you live in a very cold climate. Both can make your dogs footpads very sensitive but the real danger is when your dog starts to lick it off. However, there are two more chemicals that are extremely toxic and should be high on your list of potential poisoning in dogs; rat poison and motor oil. Rat poison is designed specifically to stop the coagulation of blood in rats and it is extremely effective at doing this. Unfortunately, it will do the exact same thing in your pet and kills more dogs yearly than antifreeze. 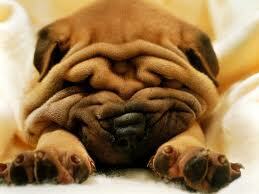 There is an “old wives tale” that if your dog has mange you can easily kill it by pouring motor oil over them. If your objective is to be cruel and kill your dog, this will do the trick and this is perhaps the most infamous of all the wives tales as it is totally false. Next on the list of things that can cause poisoning in dogs is plants, and this list is quite extensive. While most plants will only make your dog sick there are several that can cause tremors, shock, as well as death very rapidly. 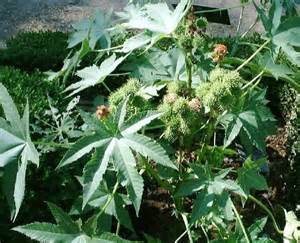 Leading this list are the Castor Bean and Castor oil plants and the beans that they produce are extremely toxic and can very quickly cause your dog to go into convulsions. The next plants on the list are Cyclamen, Foxglove, Sago Palm, and Azalea’s or Rhododendron’s. The most common of the symptoms with these plants are heart problems as well as sudden bouts of vomiting and diarrhea. Once these occur, your dog will become extremely weak and may lose their life if they are not immediately treated. Poisoning in dogs from contact with plants continue with several that will cause the same type of symptoms but these may also cause tremors and or seizures to occur. They include Aloe Vera plants, Apple and Cranberry trees, and several forms of Lilies, Mums, Daises, as well as Daffodils. There are also several plants that are not as deadly, but can still lead to severe bouts of diarrhea and vomiting that will quickly lead to depression. This grouping includes Hosta plants, Elephant Ears, and Tulips. Next on the list of potential poisoning in dogs are human foods. Medical experts have warned owners for years that feeding your pet table scraps can easily lead to garbage toxicity as well as obesity, but we still do it. Personally we have fed our dogs table scraps for over 35 years and their average life span has been 15-17 years. The key however, is the knowledge of what is really dangerous. Leading the list are 3 deadly foods; grapes and raisins, onions, and chocolate, especially baking chocolate. While grapes and raisins seem innocent on the surface, once your dog has eaten them they go directly to one vital organ; the kidneys. A small dog can easily be poisoned by only 4 to 5 grapes, and once affected, your dog will almost appear drunk. The reason for this is very simple; their kidneys are shutting down. Regardless of how big or small your dog is, never give them grapes or raisins. Onions are just as deadly but will take a bit longer to kill your dog as they attack their organs in a different way. There is a misconception that only raw onions are harmful but the facts are that all forms; raw, cooked as well as dehydrated varieties are deadly. Once ingested, onions will begin to cause a form of anemia referred to as Heinz body anemia. It is believed that unlike grapes that can attack your dog very rapidly, onion poisoning in dogs occurs over time as it begins to kill their red blood cells and then attack their kidneys. Chocolate poisoning in dogs is better known and just as dangerous. Regular milk chocolate has to be ingested in large quantities, about 22-24 ounces to cause harm, but baking chocolate is different. A 40 pound dog can face a life threatening situation by ingesting only 4 ounces and the holiday baking seasonal is when most of these deaths occur. While there are other very dangerous food items such as anything containing caffeine, alcohol, or macadamia nuts, the list is still not all inclusive. Poisoning in dogs is a real threat and while understanding what can harm them is important, what to do if they are poisoned is critical. The first step of course is prevention and protecting your dog as well as educating your family on what to watch for. However, there are also 5 other things that you should do as preparatory steps. The first is to have your veterinarians phone number posted on your fridge or wherever you keep emergency numbers as well as in your purse or wallet. 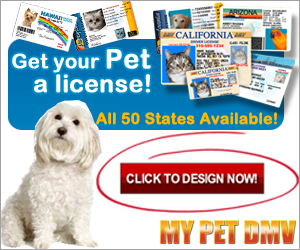 You should also have a 24 hour emergency animal clinic number in the same place. If there is not one in your area, have one of your trusted dog owner friends number so you can call them. Finally, you should have two other key numbers. The first of these is ASPCA Poison Control number which is 888-426-6680 and the Pet Poison Hotline which is 800-213-6680. They may charge you a small fee, but it will be well worth it if it saves your dogs life. The more understanding an owner has about it, the better prepared they will be for it. Without exception, if it is not treated as a life threatening emergency, it may be the last reaction to anything that your dog will ever have. There are several underlying factors that make burns a life threatening situation. The cases that have biggest chance of being lethal usually occur in smaller dogs that have eaten large amounts of baking chocolate. The smell of food is more important than the taste, which is exactly what makes foods dangerous to dogs even more threatening. Is much easier than most owners realize but there are key signs you must watch for once you start. Although it may seem like a very small matter to you, any type of a fever in your dog should be treated very seriously. It is very helpful for any owner to fully understand the term extra label drug. If not stopped early your dog may beginning a trek that may be the last adventure they ever take. The real dangers come from the many different kinds of both natural grass and other plants that are in fields and tall grassy areas. Is a life threatening situation and it is helpful to understand some of the basics about these different illnesses. Is a condition where the body temperature becomes too low for the it to properly function. You should never, under any circumstance, give your dog Ibuprofen as it will have only one result; the death of your dog. Is by no means a cure for osteoarthritis, but it has shown some dramatic results. However, it can also have some serious side effects. Can be your pet’s best friend in time of need, or they may be their worst enemy if they are not given correcting or abused. The best known is referred to as anaphylaxis which is a life threatening allergic reaction. What is not discussed is how often they fail and why they fail. One of the first of the warning signs in dogs will be any type of a breathing problem that may be slow in developing.